Plastic drinker made from hard-wearing PTFE with galvanised steel handle. Plastic feet raise the drinker off the floor. 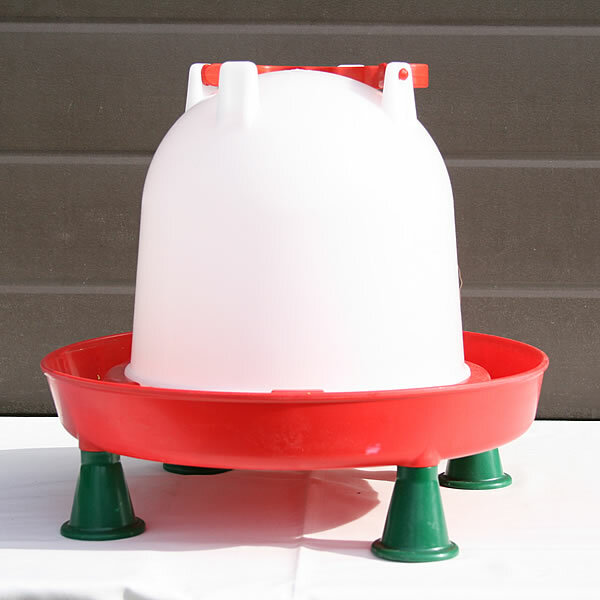 Perfect for all types of poultry.